V is for velvet. and very dramatic. 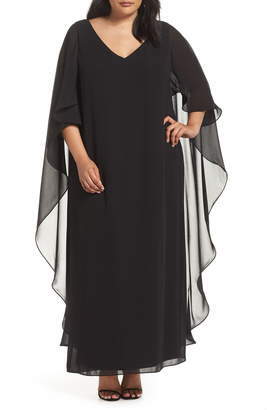 and a plunging V-neckline: All of which style this jaw-dropping plus size gown from Xscape.